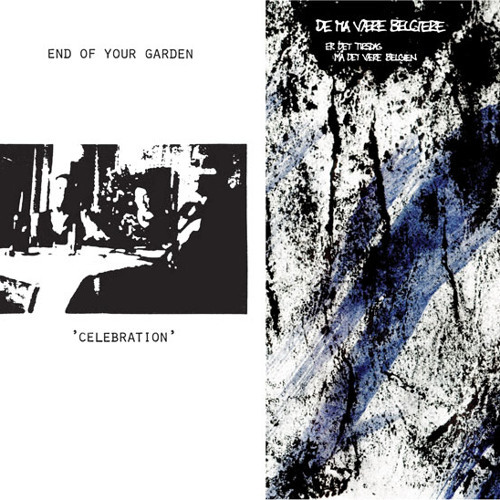 BUY VINYL: http://www.darkentriesrecords.com/store/dark-entries/011-end-of-your-garden-de-ma-vaere-belgiere-split-lp/ This split LP combines two 7"s from the Danish bands End Of Your Garden and De Må Være Belgiere originally released on the Replik Muzick record label in 1981/83. End Of Your Garden were a trio from Haderslev who took their name from the Joy Division song "Eternal". Inspired after reading an NME review of the first Young Marble Giants release, the band formed in late 1980. Using a DIY mentality, they employed a sparse, simple sound built around synthesizer, rhythm box, bass, guitar and violin, which set them apart from their contemporaries. The recording for the Celebration 7" took place during one weekend in the summer of 1981 with producer Ingolf Brown of Danish synthpop band Moral. The four songs on the Celebration 7" showed the diverse range this band covered during their short life. After recording the Test 7" in 1982 the band broke up and members went on to form Tristan T. De Må Være Belgiere were a four-piece from Aarhus formed in 1982. Their sole release was a 7" recorded in February 1983 and the music was a product of the Factory Records post punk sound conveying a melancholic and mournful mood. The band played guitar, bass, drums, sang in their native language of Danish and shared a love for Echo and the Bunnymen, Josef K, The Cure and Joy Division. Sadly the group broke up in 1984 after a handful of live shows, one of which was recorded and released on CD in 2006 by Tryghed &amp; Tristesse Records. All songs were remastered from the original reel to reel tapes by George Horn at Fantasy Studios in Berkeley. Each LP includes a lyric sheet with unreleased photos of each band and is limited to 500 hand-numbered copies. This split LP is released in conjunction with Tryghed &amp; Tristesse Records of Denmark who have the CD version with bonus tracks by both bands.